"Stefaaaaan." You whine and stomp your feet. "Pleeeeeeeease." "I just don&apos;t get it." He laughs. "You&apos;re not always gonna be around." You complain and flop in his bed. You land on your back and he stands over you from the other side of the bed. "I want to be sure I can protect myself." "Cause you know, the fangs aren&apos;t enough." He replies sarcastically. "How dare you mock me." You say with a small smile and you roll onto your stomach. "Please, Mr. Salvatore." You try. See, you knew Stefan back in the day. Like WAY back. You met him around the same time Lexi did. He was a mess. Literally. But with a little time and effort, he became not as much of a mess. You always would tease him by calling him Mr. Salvatore well past the time it was the norm. When he asks why you still call him that but not Damon, you&apos;re answer is "Damon is a troll." He licks his lips and crosses his arms. He nods slightly as he talks. "Alright." He says. "I&apos;ll teach you how to fight." You push yourself up with a huge smile. 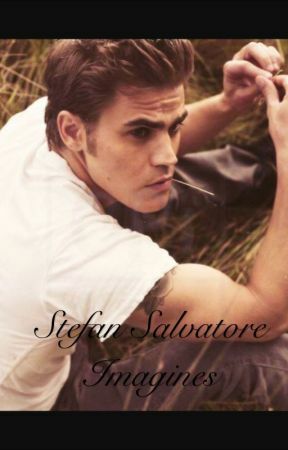 You jump onto Stefan, your legs wrapping around his waist. You throw your arms around his neck and hold him tight. "Thank you, thank you, thank you!" You say excitedly. You pull away, his arms still wrapped around your waist. "When do we start?" "Now. Go get changed." He smiles and sets you on your feet. You sprint out of the room and into your own. You had been staying with the boys since you got back into town a while ago. They didn&apos;t mind your company, even if you would stack crackers on their foreheads while they slept. You kick off your jeans and sneakers, exchanging them for Nike leggings and running shoes. You peel off your shirt and slide into a sport bra. You put a jacket on and zip it halfway up and you put two French braids in your hair that meet in a ponytail. You jog back to his room and he stands there in basketball shorts. That&apos;s it. No shirt. You bite your tongue to keep from saying something inappropriate. 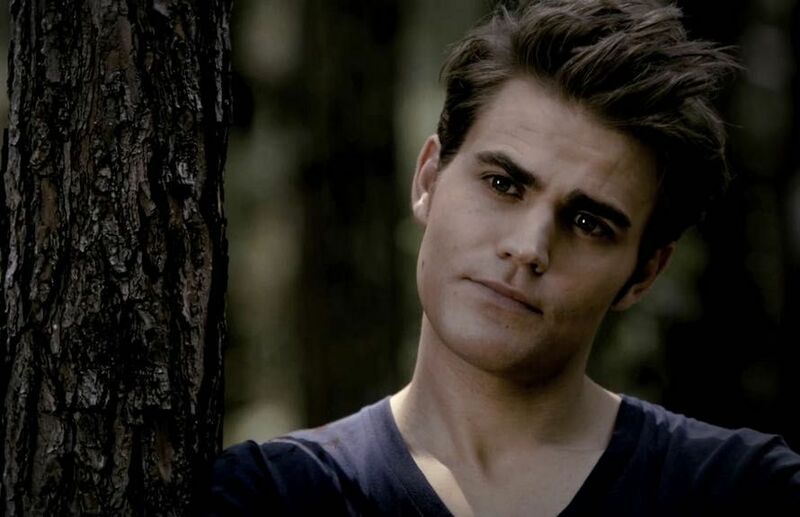 Okay so maybe the reason you came back to town was to see your crush of many years, Stefan. He was insanely attractive, fiercely protective, and the kindest heart you&apos;d ever met. All Ripper things aside. It&apos;s not his fault he was like that. Stefan crosses the room and stands in front of you. You pull your eyes away from his shirtless torso to his eyes. "You ready? You seem a little, out of it." He says softly. "I&apos;m good." You smile. You unzip your jacket and toss it in the bed. He swallows visibly and you contain your smirk. "Let&apos;s do this." You think to yourself how fun this is gonna be. In the time it took you to change, he had cleared a good sized space in the center of his room for you too. "First, a few warmups." He nods. "Push-ups." You groan but set yourself up. He sets up across from you and looks up at you. His eyes slowly travel up to yours, given that from this angle he can see right down your sports bra. "Ready?" He asks and you nod. "Go." You bring your upper half close to the ground, and back up. Down and up. Down and up. Down and up. He has you do about thirty before having you stand. "Pull-ups." He says and gestures to the beam above you. You groan again but hop up to the beam. You set your hands and he stands behind you. You smirk slightly and start lifting your body with your arms. Up and down. Up and down. Up and down. "Keep your core tight." He says and places a hand on your stomach. You tighten your ab muscles and look down at him. "Better, Mr. Salvatore?" You ask and keep going. "Alright. Come on down." He says and you drop to your feet. "Jumping jacks."